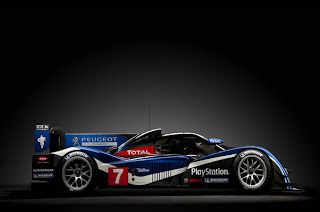 Home » Motorsport » Peugeot Launch new 2011 Le Mans racer still without KERS? 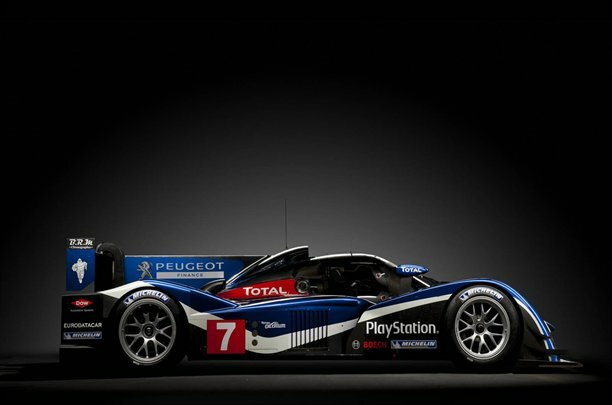 Peugeot Launch new 2011 Le Mans racer still without KERS? 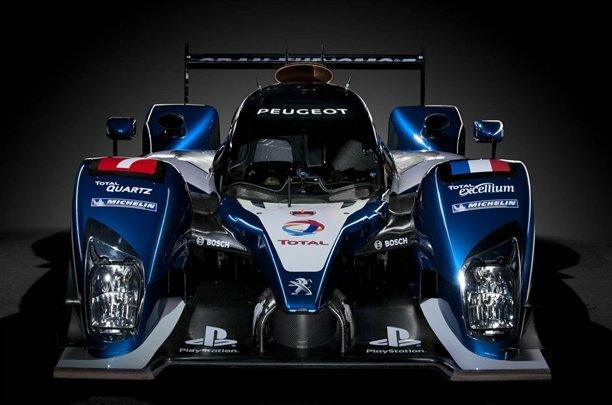 Peugeot will use a 3.7-litre V8 turbo-diesel engine to power its new 908 Le Mans challenger the French manufacturer confirmed at the car's launch in Paris on Thursday. Though the company has long considered the use of hybrid technology, it has instead decided to build an engine using its tried and trusted diesel technology, according to the ACO's performance equalising regulations. 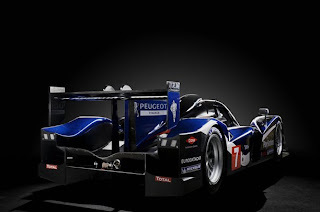 "We have also made full of our experience with the V12," said Peugeot Sport's technical director Bruno Famin. "We ultimately decided to opt for a turbocharged diesel V8, the characteristics of which are very similar to those of the V12 (which powered the old car). "The angle of the 'vee' is 90 degrees (compared with 100 degrees in the case of the V12) for balance reasons. The cubic capacity is 3.7 litres and the new V8 HDi FAP boasts peak power of 550hp. We ran it for the first time on the dyno on January 25, 2010." The all-new 908, so named in reference to its ultra-successful forebear - the 908 Hdi FAP - also continues the theme of closed top prototypes recently followed by Audi with its own new R18. "We knew from previous testing work that there is little significant difference between open- and closed-cockpit cars in terms of their aerodynamic performance," said Famin. "At the same time, despite the added constraints they bring when working on them at races, closed-cockpit cars provide additional safety for the drivers. We therefore decided to stay with the same solution. "Given the big reduction in engine power resulting from the 2011 regulations (a fall of approximately 150hp), we had to take a fresh look at the trade-off between aerodynamics, drag and downforce. The latter has been significantly reduced in order to maintain a reasonably high top speed." But though visually the 908 clearly carries much of the DNA aerodynamically of its predecessor, Famin claims it is a completely new design from the ground up. "The experience we have gained over the past four years helped to steer the decision-making process and our technical choices, although the only component which has been carried over at the end of the day is the windscreen wiper!" he said. "One of the principal difficulties we faced was having to design an all-new car while continuing to race another at the same time. "We also needed to set ourselves sound objectives with a view to obtaining the best possible package with regard to engine performance, aerodynamics and weight distribution. 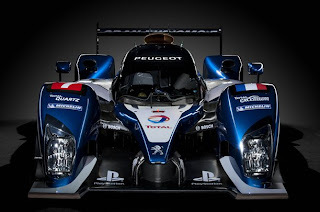 We will only find out how successful we have been when we start racing the new car..."
Peugeot has also opted to go for rear-width sized 14.5in front tyres, just as Audi has done with its R18 - a concept pioneered by Acura's LMP1 in the American Le Mans Series in 2009. "Today's LMP cars have a shortcoming with regard to front-end road holding performance," explained Famin. "The logical way to cure this was to increase the size of the contact patch between the tyres and the track, which entailed running bigger front wheels, within the limits specified by the regulations. This aspect of the car's development was carried out in close collaboration with our partner Michelin." Peugeot began testing the new car, then codenamed the 90X, as early as last July, and is confident that it will prove to be as driver friendly as the car that took it to the LMS and Intercontinental titles in 2010. "One of the very positive points we found was that the car's handling lived up to our expectations out of the box," said Famin. "With regard to its other strengths and weaknesses, we will need to wait until the first races to see how we compare with our rivals. "That said, we continue to work without worrying about what our opponents are doing; we are simply focusing on our own objectives. Between the car's track debut in 2010 and the 2011 Le Mans 24 Hours, we will have completed 12 tests in all, at a number of different circuits." 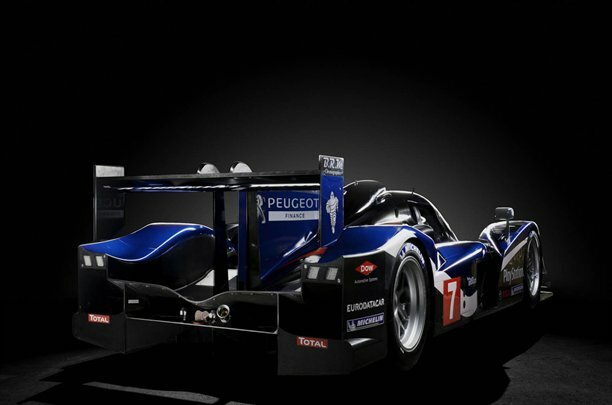 Despite Peugeot carting a hybrid version of their 908 HDi FAP called the 'hy' around the show circuit as long ago as 2008, there's still no confirmation Peugeot will ever use KERS on board the official works cars.